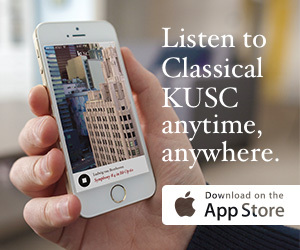 Last month KUSC launched a new initiative bringing live classical performances of the highest quality to elementary schools in low-income areas, schools that lack the resources to provide their own arts and music programs. KUSC Playground Pop-ups are just that: informal performances on playgrounds, emceed by KUSC hosts. We’re partnering with the after-school enrichment program LA’s Best, which serves nearly 200 LA Unified elementaries. Our first performances, featuring LA Opera soprano Maria Elena Altany and bass-baritone Cedric Berry and KUSC hosts Alan Chapman and John Van Driel, were greeted with great enthusiasm at 109th Street and 116th Street Elementary Schools in South Los Angeles. Next stop: East Los Angeles. Then we’ll hit the road, launching a similar project under the auspices of our sister station in the Bay area. KDFC Playground Pop-Ups will kick off early next year in the Oakland Unified School district. Along with our statewide musical instrument drives and musical Kids Discovery Days at local museums, the Playground Pop-Up project is helping the USC Radio Group connect California kids to great music. Check out photos and watch a short video from our KUSC Playground Pop-ups below.